All kitties go to heaven. See them in celestial action with this super cute Ninja Kitties in Space t-shirt. 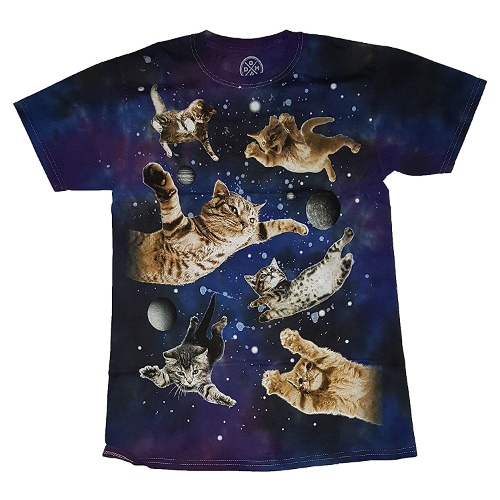 The design features a tie dyed galaxy look back ground with six feisty kitties doing what cats do best. Being ninjas. Shirt is 100% cotton and are unisex fit.